"I had my TV on in the background while I was on the computer, and I heard The Circle Game being played without vocals! 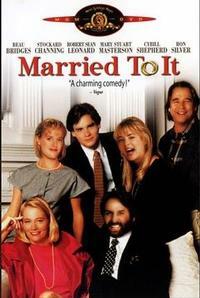 Turns out that this movie called Married to It used Joni's song for the opening credits. "It stars Beau Bridges and Stockard Channing as an aging hippie couple, Robert Sean Leonard and Mary Stuart Masterson as a young couple, plus Ron Silver and an excruciating Cybill Shepard (she CAN'T ACT!). I didn't see the whole movie, but the arrangement of The Circle Game was a nice surprise. "